Vacation rental villa. 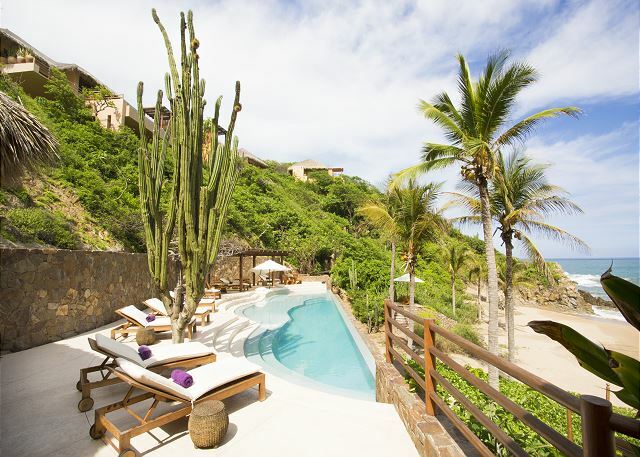 Sleeps 7, 4 bedrooms, 4.5 bathrooms. No pets allowed. The main living space features an open-air design, breathtaking views of the Pacific, and a traditional palapa-style roof; attributes that together serve as a welcomed reminder of your tropical surroundings. 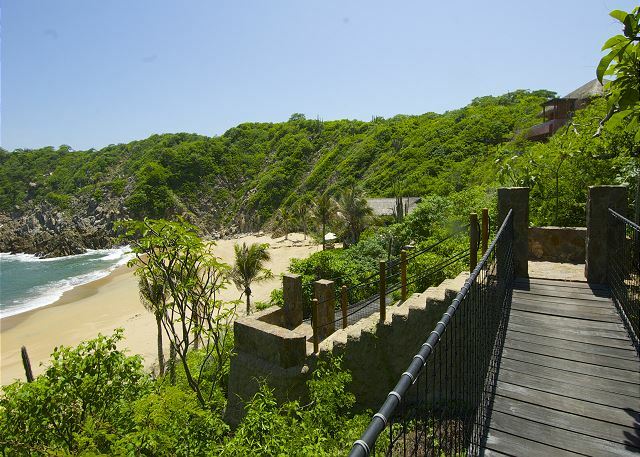 Taxis in Huatulco are readily available 24 hours a day and are very affordable. If you are thinking about a round of golf, Las Parotas Golf Club is a 10-minute drive. To take advantage of the great surf Huatulco has to offer, you will not have to stray far as the closest surf beach is only short walk away. 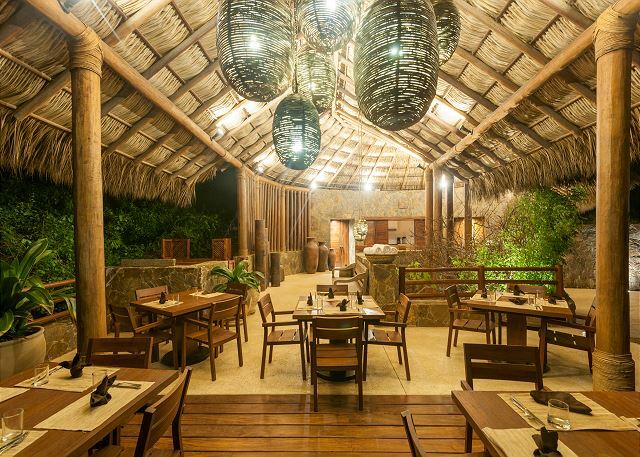 An 10-minute drive will take you to Tangolunda’s resort district, offering many bars and restaurants. You can find many shops that offer local artwork, clothing, coffee and Mescal as well as dozens of bars and restaurants in La Crucecita, a 20-minute drive away. 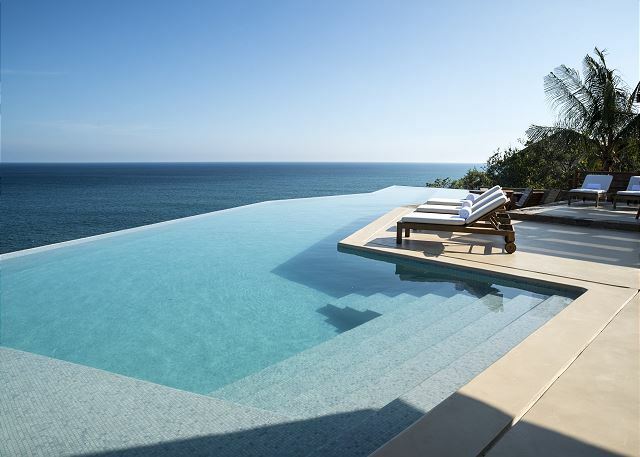 This villa is heaven on earth. It doesn't even feel real how beautiful it is. The space is comfortable, beautiful, and functional and the view is beyond amazing. The pictures are gorgeous but when you actually experience it in real life, it is even better. The whole experience of being at Montecito Beach Village was great! The staff were friendly and helpful. I highly recommend this space for an amazing vacation! Thank you so much Peggy for taking the time to share your experience at Villa Maroma - Montecito Beach Village. 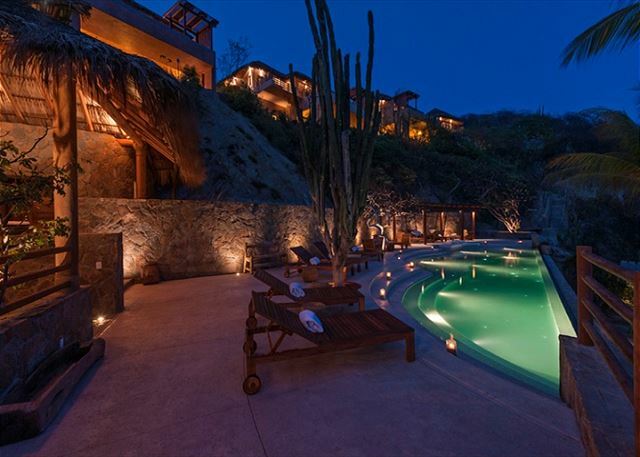 I am truly happy to know that you had an amazing experience for your first time in Huatulco. 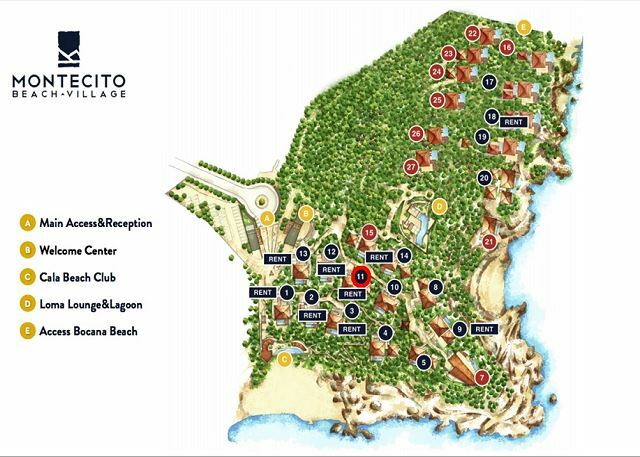 I am glad that the Villa layout & the Montecito community went beyond your expectations. Our guests experience is crucial for us. I hope that i will have the opportunity to host you again in the future. Regards, Cathy Bergamo & Your Friends at My Huatulco Vacation. Lovely property with nice amenities in a beautiful location. Dear Elizabeth, Thank you for taking the time to share your experience about your stay in Villa Maroma. I hope to be able to host you for a 3rd time in Montecito next year! Have a nice day. Regards, Cathy Bergamo & your Friends at My Huatulco Vacation.